Brown, David. 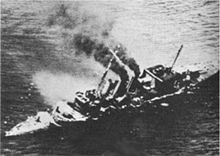 Warship Losses of World War Two. Naval Institute Press. 1990. ISBN 1-55750-914-X. Gill, G. Hermon. Volume II – Royal Australian Navy, 1942–1945. Australia in the War of 1939–1945. Canberra: Australian War Memorial. 1968 [2006-11-20].